We’ve all been there. We’ve all had our fill of post-apocalyptic, zombie movies to last us a while. 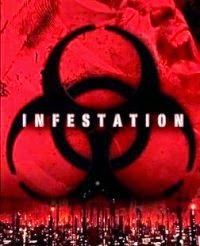 What makes “Infestation” different, and worth watching you ask? While all those movies depict a gang of unsung heroes battle it out with mutated and ferocious zombies topside, Infestation actually begins underneath the Earth’s crust. Set in the not-so-distant future when a virus kills off the Billions of people who once inhabited the earth, a devastating crash 30 years after the initial apocalypse, our protagonists (Loki, as the captain and Sash as his partner) must make their way to the surface. It becomes their mission to do a recon and retrieve their missing comrades. Loki (Russ Evison) and Sash (Susan Riley) have taken it upon themselves to make a thunderous journey through the Earth’s crust and continue their travel to the outer layers of the planet. When they breach through the surface, they are horrified with the fact that there is nothing left on Earth except for the living dead. To their dismay, they will soon discover the fate of the first team who crash landed. They are left with two choices: either they stay and die or stay and fight for their lives. Just as any hero would do, the two fight for their lives against the mutated zombies. What they do not know is that the virus that affect the people, is also contagious and slowly killing them from the inside. Will they make it out of the situation alive? Or will the hordes of zombies sink their teeth on them? Or worse, will the virus turn them into the mutants that they are fighting? 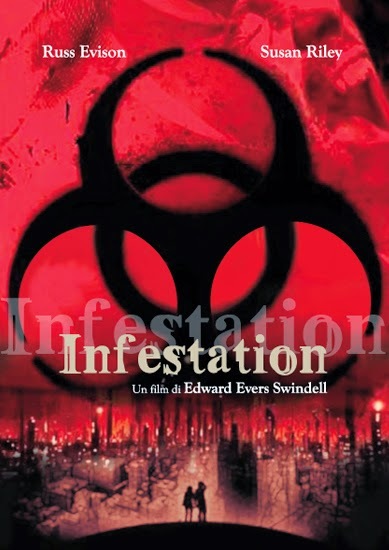 Don’t miss out on “Infestation”. Watch movies online for free to find out what the fates of Loki and Sash will become.